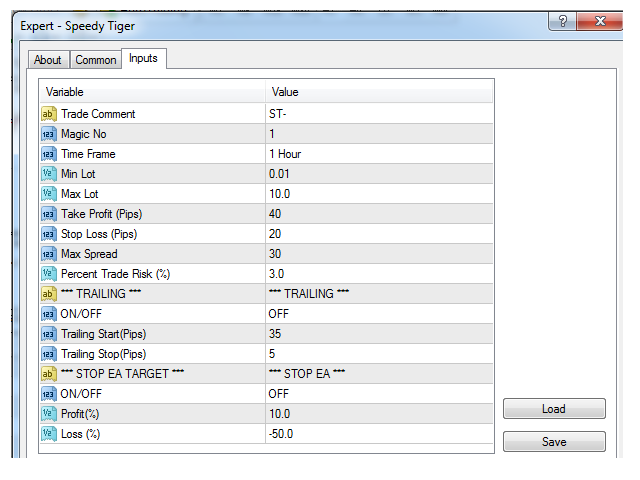 Speedy Tiger is a fully automated EA that uses our innovative algorithm combined with our money management concept. This EA is designed for easy to use with simple inputs parameters. Min Lot: EA will execute not less than the minimum lot size for starting lot, taking into account the calculated risk set in percentage trade risk feature. Max Lot: EA will not execute lot size more than maximum lot size. Stop Loss: value in pips. Percentage Trade Risk (%): the amount of money to risk in percentage. ONOFF: on or off trailing. Trailing Start: EA will start trailing at trailing start pips. 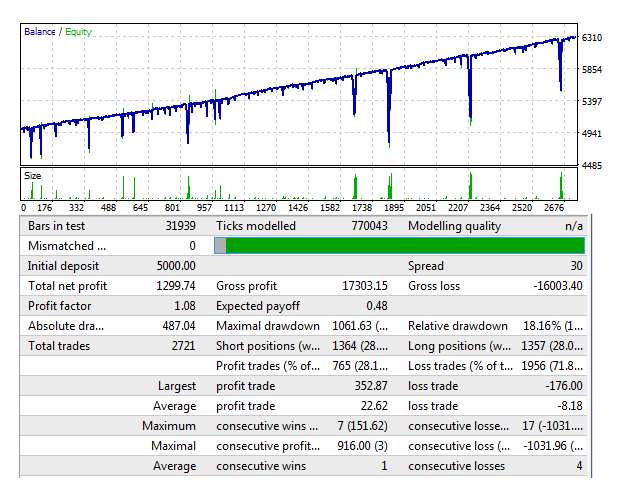 Trailing Stop: EA will place stop loss a certain pips behind market price. Profit (%): EA will be removed from chart when profit reaches the set percentage. Loss (%): EA will be removed from chart when loss drops below the set percentage.